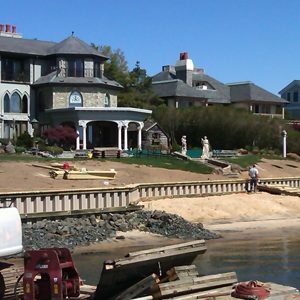 Dockside provides everything you need to complete a quality waterfront construction job. 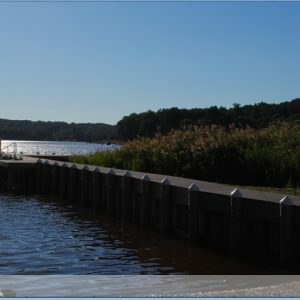 We specialize in providing marine construction including materials needed for bulkheads, pilings, floating docks, hardware and more. Dockside specializes in marine construction, stocking endless materials from pilings to vinyl bulkhead and more. 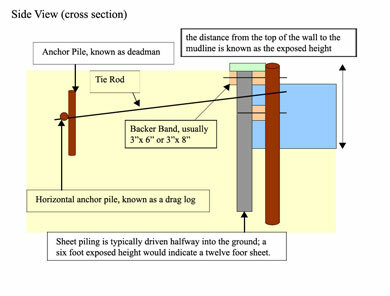 Below is a diagram of a bulkhead using a “Navy Wall” design. 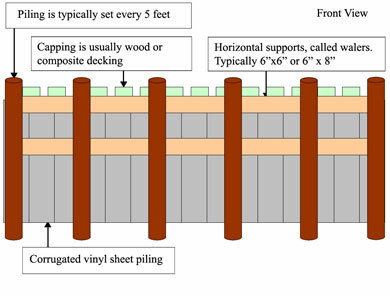 It illustrates some common features in bulkhead construction. Your engineer or contractor may use a different design which substitutes or omits some of these features. By focusing on marine and exterior construction, we provide deep product knowledge and specialized service.